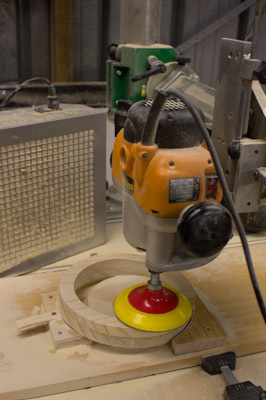 Can a Drill Press be used as a Router? I was researching another article on the Professional Woodworkers Supplies website, and came across a product that took a few seconds to catch my eye. After all, what is so inspiring or remarkable about full sheets of wet & dry sandpaper? That is until I read just a little closer. The papers are colour coded, and it was the description of the white paper that made me sit up and look. The micron size of the white paper is 1µm. Hang on…..what??! 1µm?! But that is finer than an 8000 grade japanese waterstone! My table of micron grit sizes to paper/diamond grades from 2008 doesn’t go finer than 8µm, and that can achieve a mirror finish on a turning tool or chisel. 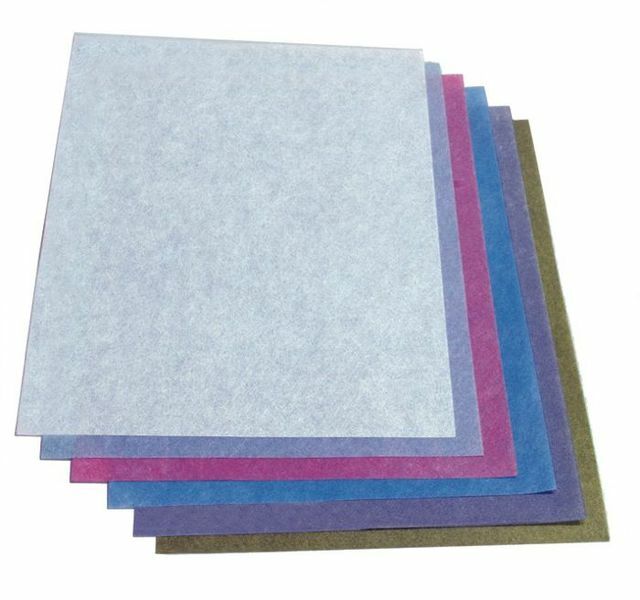 This pack of 6 colour-coded sheets (approx $20) includes 30µm, 15µm, 9µm, 3µm, 2µm and of course 1µm abrasive sizes. These equate roughly to P500, P1200, P2200, P4000, P6000 and P8000 ISO sandpapers. Now I know this will be a bit of a shock to the system, especially coming from me – the “Electron Murdering Woodworker”, but, not every job in the workshop is best done with power tools. I know, I know – breathe – here is a paper bag each, we can hypoventilate until the panic subsides. I’m not referring to pneumatic tools either. I’m talking about handtools, and elbow grease. 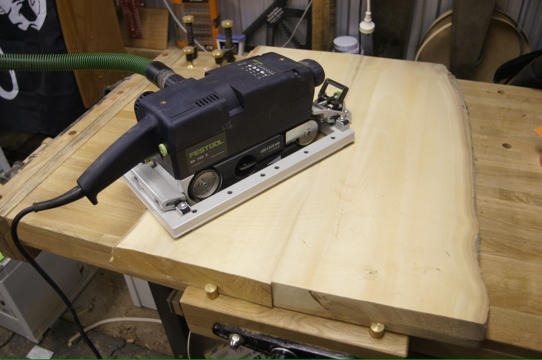 When sanding components, there are times when a power tool just is not the right tool – whether it is unnecessary overkill, or it cannot get into the area of concern, or it would turn a 2 second job into a 2 minute one. When that happens, out comes some sandpaper, and it is wrapped around a sanding block to tackle the task. All these things to dissuade me from hand sanding in preference to a power sander. But there is another solution. How about using a belt of sandpaper, rather than a sheet? It is cloth-backed, and much more tear resistant. Being a belt, finding a fresh portion (without using a portion with a previously-created fold) is easy, and the entire belt can be used for sanding, rather than some of the sheet of sandpaper never being accessed, as it was just being used to secure the sheet to the block. 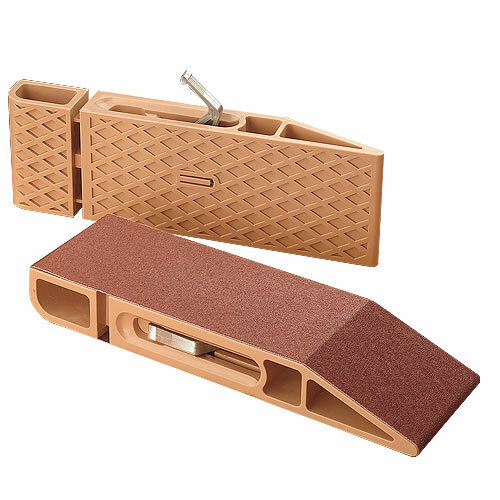 How about a block that carries the sandpaper firmly, yet with a quick-release allows the paper to be rotated to a fresh portion? And one that isn’t just a lump of timber or cork (technically, a piece of cork is a lump of timber……), but the working surface can be larger as it will not waste sandpaper unnecessarily. 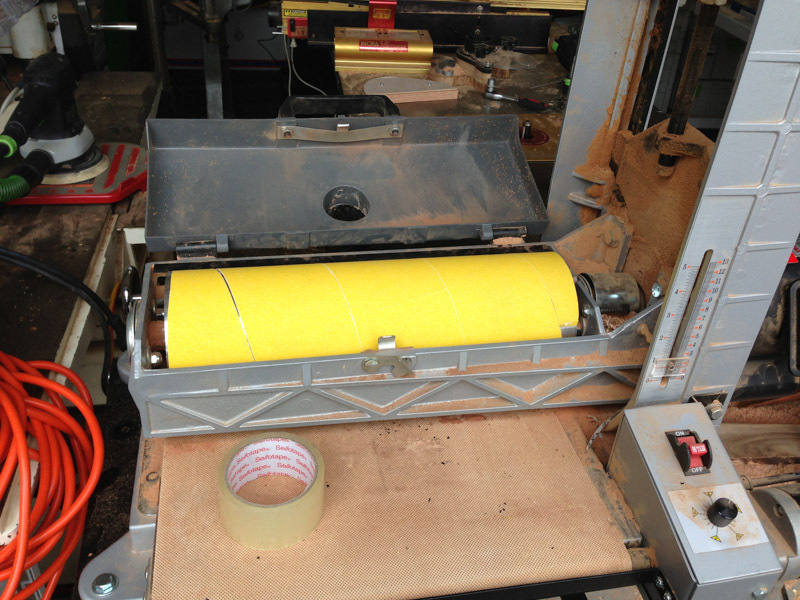 It takes a standard belt of sandpaper, and has a quick-release lever to remove tension, allowing the belt to be quickly repositioned to expose a fresh cutting surface, or offset the paper on the block to get right into tight corners. As you can see, there are a few different profiles on the Devil – a square corner, a larger radius corner, a smaller radius point, and the tapered section to help get into tighter places. 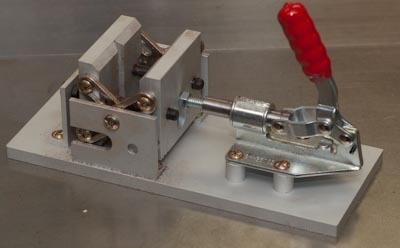 The rear shoe is moved by the quick release lever to apply or release tension. Was taking to Daniel at Carbatec earlier today, and after we started coming up with some woodworking sayings, he suggested it would make a blog post. I’ve decided to take it one step further, and once a list of sayings is together, I will choose a number that I will combine into a file that I’ll then cut on the CNC machine. I have a large piece of camphor laurel that may be good for the list, which I will then be able to mount onto the shed wall. This is what I have come up with so far. Some are traditional, some are slightly modified, and a few are my own. If you have any others, please drop them into the comments, and I will compile a final list of my favourites to send to the CNC. It is Sunday, (or after trading hours), or simply live too far from your normal woodworking supplies shop, and your drum sander has run out of abrasive. I decided to find out if there was an alternative, if only temporary to get you out of trouble so you can finish the job you are doing. Headed down to Masters to see what was on offer. Seriously….very little. Certainly no cloth backed sandpaper in a roll or of any length. About the only stuff I could find was a very weak paper backed painter’s sandpaper. No idea how it’d survive – you just touch it and the abrasive is flaking off the backing. Went to take a length anyway, and discovered that even worse, it is perforated every metre (for easy tear-off – the last thing you want for a machine sander!) But there was nothing else, so it was either this to get out of jail, or nothing. It wasn’t the right width either, so it was going to be an interesting attempt. First, I took some packing tape, and ran a length down the entire back of the 2m long strip I bought. Oh, and the strip cost $4 ($2/m), compared to something like $18 for the real deal. (Remembering this is a temporary fix, not a long term viable alternative). With a bit of guesswork, I trimmed the end to an angle, then with a bit of adjustment got it so each loop butted up against the previous, and got to the opposite end of the drum. That was a lot easier, as the end was simply trimmed to be parallel to the edge of the drum, and secured with the second clip. Kind of looks the part doesn’t it! Also proves that you can use other widths of sandpaper – you are not restricted to just using a 75mm wide roll (think that is what the standard width is). A quick test – turn on and off (while standing clear) – seems to work – it didn’t fly to shreds instantly. 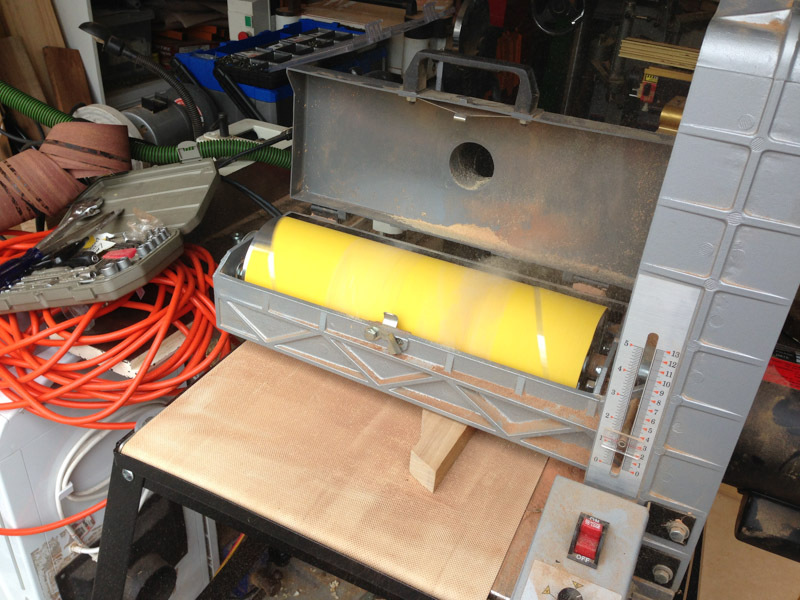 Next test – sand something! Took a scrap of timber, and ran that through. It survived as well, even multiple passes. You can see a gap at the right hand side- I hadn’t gotten sufficient tension in the roll, so after this pass I readjusted the paper to get it tight on the drum again. After a few passes, the wear is a lot more evident on this sandpaper than is on the garnet cloth-backed sandpaper. However, it was working. Turned it over to dress the rear side a bit, and managed to get about three passes in before the paper exploded off the roll. 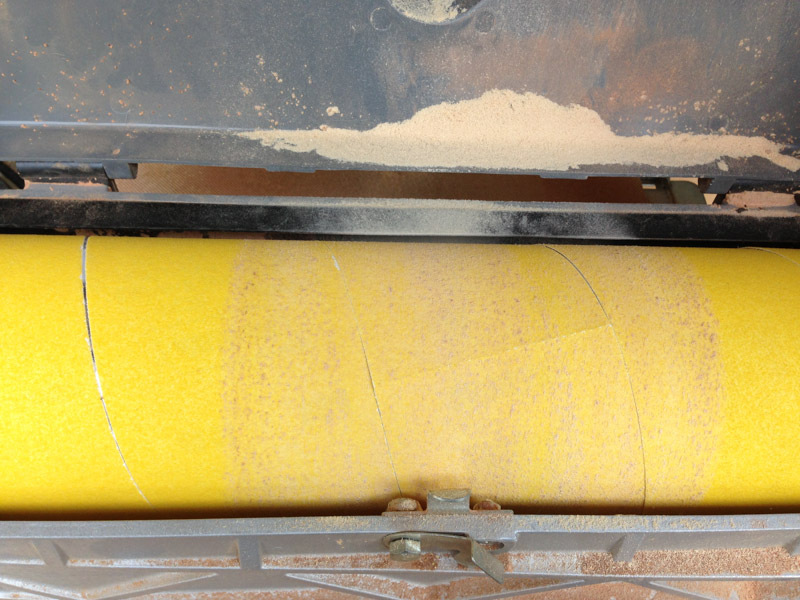 It wasn’t dangerous – the paper was flapping a lot on the drum, but there was no issue in turning the machine off. There were bits of sandpaper everywhere (about 1″ square) – when this let go, it really let go! Surprisingly, the perforated area halfway along had survived (although had started to tear when the length failed). 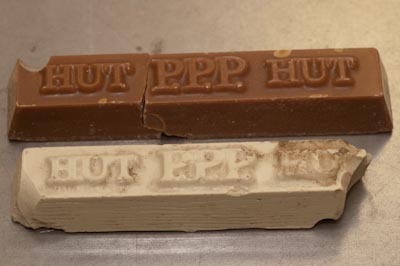 The proof of concept was achieved however – I have a nicely sanded piece of walnut – so this indeed “get me out of jail” It isn’t the most economic – an $18 length will last and last (until you burn it or do something silly, or wear it out), but for a one-off when the shops are shut, this worked. Be your own judge whether you choose to ever do this for yourself or not. I am satisfied that there was no real risk (and I stood aside even so). If I have to do it again, I may try gorilla tape next time – something a bit stronger than a cellotape-type packing tape which may increase the time the temporary fix can survive. I’m sure we have all done it: started a project, had it drag out a bit, such as starting one early Jan, and still be completing it late Feb. Same here. 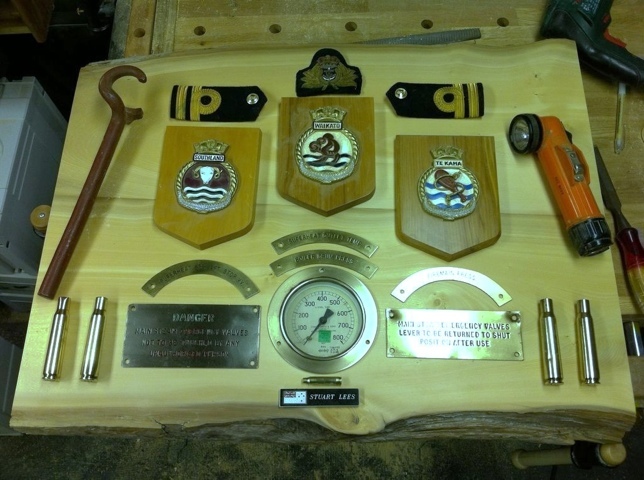 Started this project in early Jan….2011! And only now getting close late Feb 2012. Not a hard project either, just been getting bounced around, bypassed, forgotten, rediscovered, and, well procrastination personified! Since then (and all only just recently), I’ve made some progress. Step one was taking the slab that had an initial rough sanding on the Torque Workcentre and giving it a good flattening sand. 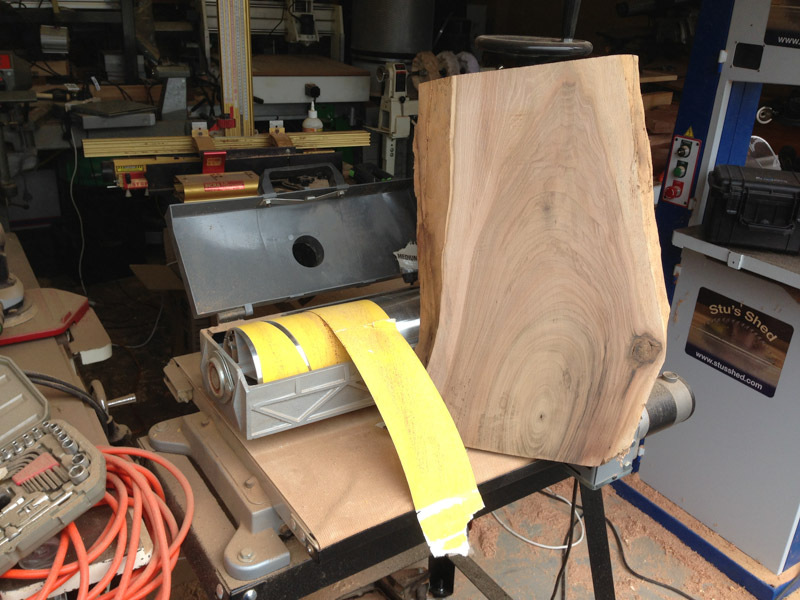 Best tool I have for that is the BS105E, otherwise known as the Festool beast – a 105mm, 6.5kg $1500 belt sander. Yeah, still blows my mind too that a belt sander can be worth that much. Beautiful tool to use though. It has the sled that allows the sander to be floated over the surface, either aggressively cutting to the full depth of the paper grit, or raised so high that only the tips of the abrasive is impacting the surface. Typically, you use it somewhere in between! The shear weight of the sander means you only have to guide the sander where you want it to work. No additional downward pressure required at all. The surface at this stage was already becoming alive. Perhaps it is the natural oils in the Huon Pine burnishing the surface with the sanding, but it looks like it doesn’t need an actual finish! Doesn’t mean I won’t, but what that finish is will need a little research. Onto a final sand, this time the ETS150/5, sanding up to 320 grit. Possibly a bit out of order, bit it was then onto the tablesaw to trim up the ends. Given the slab has two natural edges, and two non straight edges, I used a sled to carry the slab through the tablesaw to get the first straight edge. The Incra Mitre Express worked well in this case. Once the first edge was cut, this then was placed against the fence to cut the second edge parallel. The final two edges I’ve always intended to be left natural. Next, taking a holesaw, a cavity was cut for the steam pressure gauge. It was a little undersized (not having exactly the right sized tool). Getting it sized correctly only took a few short minutes on the spindle sander. The brass items needed a real clean and polish. 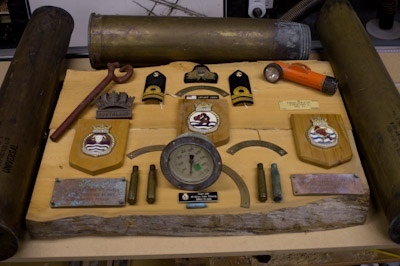 With a can of what anyone in the military would be well familiar with (Brasso), each of the parts were given a good polish. Perhaps not to military spec, but I didn’t want them to be completely deprived of their history/age. Not sure where my before & after photos are- still in the camera I suspect! Will post them later. I then tried my layout again. 12 (13?) months since I last laid it out, and it has become more refined. I have also finally figured out how to attach the cartridges, and other odd shaped items to the board. Time to source some copper wire. Anyway, this is looking like it might be a layout I’m happy with. Now to bring it home, and finally finish a project off! I was asked to produce a couple of wood ‘rings’ so a couple of large diameter brass light fitting could remain horizontal even though the location was a sloping beam. I had a brass fitting, and a piece of cardboard onto which was drawn the roof angle. Thinking about the best way to do this had a few options, including lathe, bandsaw and drum sander. But what I decided on was to cut a couple of circles on the router table, glue them together then machine the required angle. 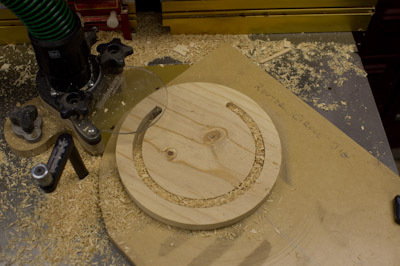 This is my router table circle jig – a very simple design for cutting accurate circles. 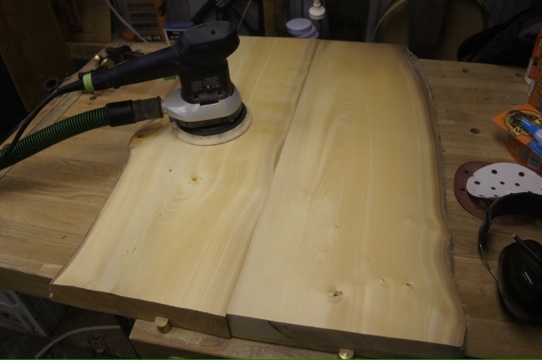 I use the freehand router table guide (with dust extraction), MagSwitched down onto the cast iron table. With a piece of pine attached to the nail pivot point, a light groove is routed into the board. 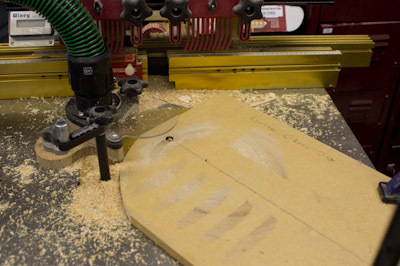 The board is then removed, and the excess cut away on the bandsaw. 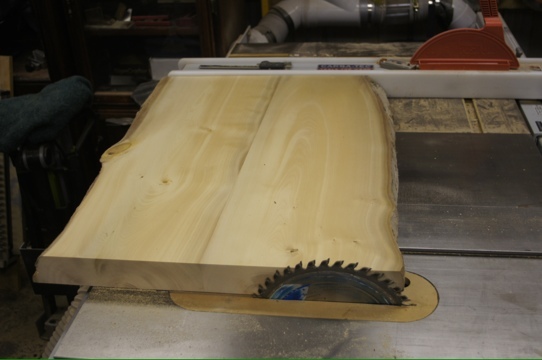 The board is then returned to the router table to complete the cut. This is done for all four boards (I’ll get to that in a sec, but yes – all four). Next, the inside disk is cut away. I’m sure there other ways – but this seemed as good as any at the time (and not a jigsaw in sight). Two of the disks are then glued together (with the grain direction set 90 degrees to the previous to maximise overall strength). I did this for all four rings, then glued together to create two thick rings. 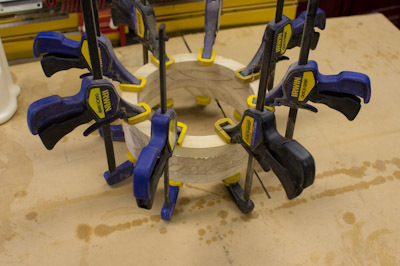 Glueup was done with all four glued and clamped at once. 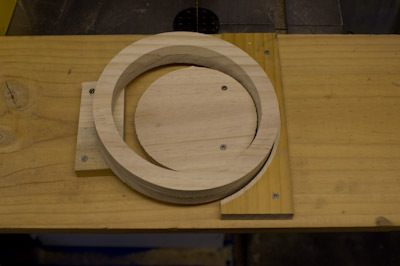 I then created a jig to stabilise the ring, at the exact angle required for the fitting. It may look quite sophisticated, but all it is, is offcuts from the original ring cuts. This way I could drop ring after ring into place and they could all be sanded to the same angle. In this case, I only needed two! I originally fed this whole unit into the drum sander a few times, but it was taking forever (too fine a grit sandpaper, or something wasn’t just working right), so I moved the jig across to the Torque Workcentre. Same concept, but this time bringing the tool to the workpiece, not the other way around. This didn’t take long. Once sanding occurred over the entire ring, the job was finished. After a quick trip back to the router table with a round-over bit to break the edges, the job was complete. There is a pen style to suit everyone, from the thinnest slimline designs, through to the bulkiest, heaviest ones. The price can vary from a few dollars to $100 or so, simply for the mechanism. You’d certainly want to be on your turning game when working with the expensive models. There are stacks of different pen kits out there, from slimlines, through sierras, sedonas to emperors and on and on. 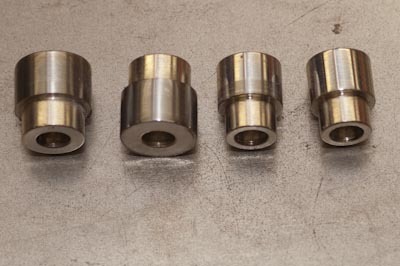 Some require one turned section, some 2, either the same diameter, or with lids, or other sections. Some are more complicated than others! A blank drilling vice holds the blank steady, and parallel to the drill bit. Until recently, I used a standard metalworking drill press vice which was ok, but this style of dedicated vice eliminates the problem of ensuring the blank is actually vertical. It also makes it easy moving from one blank to the next, or to remount a blank for redrilling. Changing to a larger or smaller blank is easy – certainly no harder (and I’d say easier) than a standard screw vice. The quick-action lever is a definite boon. 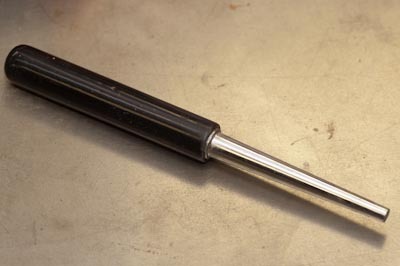 This simple tool is a tapered shaft, and allows the brass core to be inserted without you directly coming into contact with the finger -joining Superglue! I tend to find it also prevents over-insertion, where the brass tube sticks out the other side (and the speed the glue sets typically prevents a fix). However, it is a rather gentle taper, so is not as effective for the larger tube diameters. Once the tube is inserted, and the glue set, it is time to dress the ends so they are flat, and perpendicular to the tube (and therefore the components). 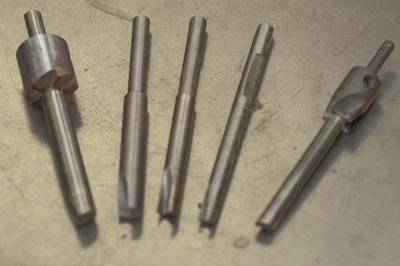 Some mills have different diameter central bores for the different pen types. This helps keep the mill accurately aligned, and also cleans out any glue (etc) that happens to have gotten in where it shouldn’t have. However I still haven’t found a mill that I am happy with. Have a couple of pen mandrels here – the top one is variable (ie has variable length with a chuck) The mandrel is critical as it supports the blank as it is being turned, and given that the finished pen can be as thin as 0.5mm, providing decent support is rather important. 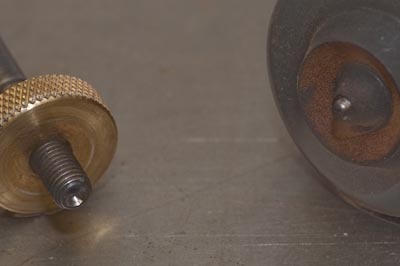 A knurled knob at one end holds the blank firm as it is turned. 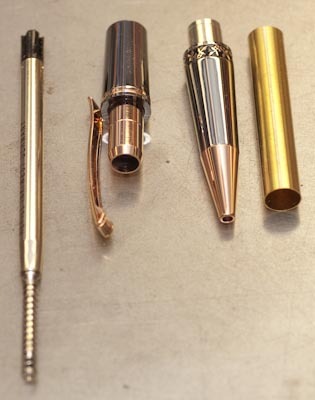 Different pens have different diameters, both outside to match the components, and inside – the diameter of the brass tube. 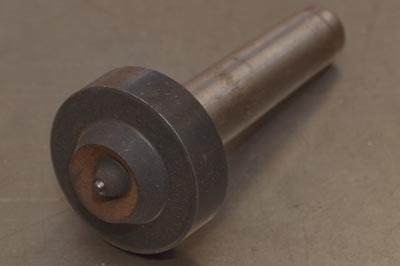 Rather than have a mandrel the right diameter for each pen type, bushes are used to fit inside the brass, centering the blank on the mandrel, and the outside of the bush provides a reference for the final thickness the pen needs to be turned down to. These are a consumable – they do get worn so occasional replacement is necessary. However, they are only $5 – $8 for a set, so it isn’t too expensive. Instead of my normal live centre, (or my new Nova one) both of which are too sharp and have too thin a cone end to fully support the end of the mandrel, I found this cheap chinese one, which is hopeless for the job it is designed for, but perfect for pen turning. The short, wide angle and blunt/rounded tip is useless as a live centre, but matches the end of the mandrel surprisingly well. Getting the required finish requires sanding (unless you are an expert turner, and even then I imagine they use sandpaper too! ), and you always need to work through the sandpaper grits to ensure there are no scratches left to ruin the finish. This pack provides a convenient storage, and to keep it all in order. Other than glueing the tube into the blank, I also use CA glue as a finish, typically with 18-20 coats to produce a very durable finish. To apply so many layers, the accelerator is necessary. If one layer is not fully set before the next one is applied the finish is ruined with a milky layer under the surface. 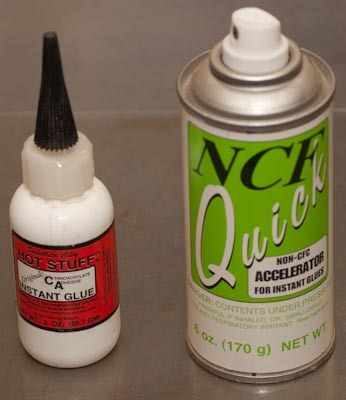 I prefer the aerosol can applicator – a fine, even application. There is no different between the CA glue here and the Superglue in the small 2g tubes, other than convenience. 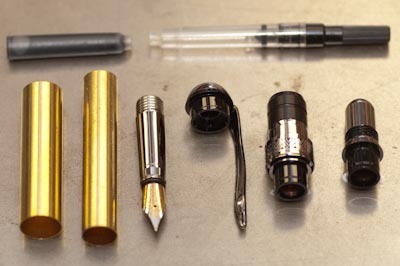 A 2g tube will do about a pen, including the finish, give or take. Getting a really fine finish requires going to an increasingly fine abrasive, and the acrylic sanding pads are excellent for this, especially when used on acrylic pens, or CA finished ones (you don’t need to CA finish an acrylic pen!) These pads are coloured based on the grade of abrasive, so it is easy to move from one to the next. They can be used dry, but they are superior when kept soaked in a bowl, and used wet. This cools the finish, which is important for both types – they are easily destroyed if they get too hot with the friction of sanding, leaving no option but to strip back to bare wood (if a CA finish) and start again, or if an acrylic to drop right back to a rough grade and work you way up again, hopefully the heat affected zone is not too deep. The pads themselves are also damaged if they get too hot. A simple rule of thumb is: when used wet, watch out for any dry spots that form which will quickly indicate an area where the temp is rapidly rising. Watch out for any steam, and feel with your fingers too. Keep wetting the pads down (dipping them back in the water) – not only will this keep them wet and cool, but also washes off any abrasive particles that have come loose. The finish these pads do achieve is superb. There are other finishes out there, including Hut Wax PPP (Perfect Pen Polish). These look great straight off the lathe, but I have found them very disappointing with their lack of durability. This is a wax by Neil Ellis of Ubeaut, and as you can see I haven’t used it yet (bought it for the name first and foremost!) It got its name from wood turners though, as each when asked how the wax stick was, remarked that it was……., and the name stuck! Ubeaut was originally going to be called Shithot, but the business licensing organisation cracked it. At least the product itself, with a typically Aussie approach to naming, made it to the market. Finally, when it has all been finished, the final assembly can be done. I used to use a Superjaws for this step, but a dedicated pen press is a much better solution. Finally, it is imperative that the finished pens are displayed proudly, which leaves only one problem – deciding which one to write with!